N 11° 57' 47" and E 43° 17' 26"
Obock in Obock with it's 17,776 habitants is a city located in Djibouti about 28 mi (or 45 km) north of Djibouti, the country's capital town. Current time in Obock is now 08:24 PM (Friday). The local timezone is named Africa / Djibouti with an UTC offset of 3 hours. We know of 8 airports closer to Obock. 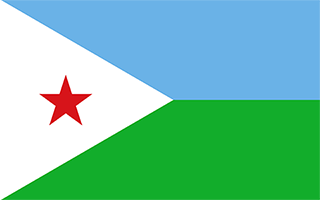 The closest airport in Djibouti is Obock Airport in a distance of 2 mi (or 3 km), West. Besides the airports, there are other travel options available (check left side). Since you are here already, you might want to pay a visit to some of the following locations: Djibouti, Tadjoura, `Arta, Dhubab and 'Ali Sabieh. To further explore this place, just scroll down and browse the available info. Let's start with some photos from the area. Obock (also Obok, Ubuk) is a small port town in Djibouti. It is located on the northern shore of the Gulf of Tadjoura, where it opens out into the Gulf of Aden. The population in 2003 was about 8,300 inhabitants. Located at 11.9667, 43.2833 (Lat. / Lng. ), about 1 miles away. The Obock Region is a region in northern Djibouti. Obock Region is a Region in Djibouti by area, with a mainland area of 4,700 square kilometres (1,800 sq mi), it is larger than Cape Verde. Located at 11.9667, 43.3 (Lat. / Lng. ), about 1 miles away. Obock Airport is an airport serving Obock, a city in the Obock Region of Djibouti. Located at 11.9683, 43.2786 (Lat. / Lng. ), about 1 miles away. These are some bigger and more relevant cities in the wider vivinity of Obock.